Here we go, Official Trailer of Maari2. 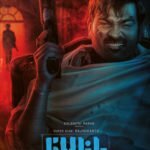 Maari 2 stars Dhanush, Sai Pallavi, Krishna, Varalakshmi Sarathkumar, Tovino Thomas in lead roles; Music Composed by Yuvan Shankar Raja & Directed by Balaji Mohan. “The Naughtiest DON of our times is Back” | Worldwide release on Dec 21st 2019. 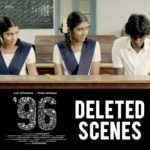 96 Movie’s Next Deleted Scenes is Out..